Prepare a victory theme for your wallet, as a Final Fantasy XIV Free Login Campaign has arrived to help players ease into the next expansion, Shadowbringers. Those who have had an inactive account for at least 30 days can log in to the game for free for a seven day period. After that week is complete, you’ll have to pay up or be forcibly taken out of the game. Square Enix is offering this campaign “in the hope that would-be adventurers can experience all that FFXIV has to offer,” but this is only running for a limited time. The campaign will end on Monday, June 17, 2019 at 7:59 am Pacific Time. Also, keep in mind that you need to have a copy of the game to take part in this free login campaign. This just means you don’t need to pay a subscription fee for a week. Something to keep in mind is that this free period will end if you decide to purchase a subscription during the process, so use it at the very end of the week to get the most out of the Free Login Campaign! Final Fantasy XIV: Shadowbringers is a new expansion for the MMO that will be released on July 2, 2019, and it brings a lot to this already content-packed world. For example, you will be able to dance your way to victory with the Dancer class as you buff your allies and hit enemies with throwing weapons. 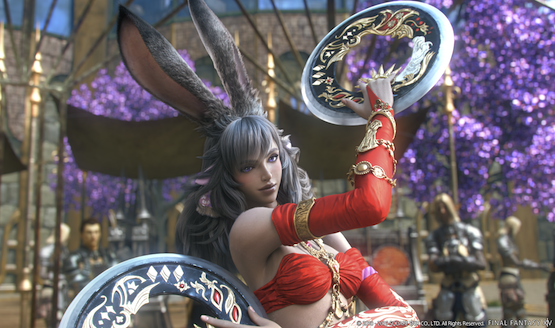 The new Hrothgar and Viera races will be added to the game, more player cities called The Crystarium and Eulmore will be able to be explored, and there will be a new raid called Eden, which will include a character designed by Final Fantasy VII Remake director Tetsuya Nomura. It will also have a level 80 cap, add the Trust system, include New Game+, and offer another raid series with 24 players based on NieR Automata called YoRHa: Dark Apocalypse. Will you be returning to the land of Eorzea with this Final Fantasy XIV Free Login Campaign? Let us know!